Free use of a good quality down jacket and sleeping bag with liner on trek. A spectacular challenging trek in eastern Nepal. I can only say that I enjoyed every minute of the adventure with an excellent group of individuals who became fellow trekkers and friends. An excellent experience made possible by MK's professional and personal attention to detail and planning. For organisation, scenery and general walking this is probably the best trek I have done. What I enjoyed was the fact that the standard of care was as good, if not better, than all the times I have been to the Himalaya, particularly Nepal. Our guide was excellent, we were well looked after. The other guys on the trek were very good company as was our trek leader Cshiring Sherpa who was most attentive to us. He was always cheerful, helpful and informative and appeared to have the respect of the cooks and porters. The local people were friendly and interested in us and sometimes enjoyed testing their limited English. Kangchenjunga is the world’s third highest peak and this trek from the low foothills up to the North and South Base Camps can rightly be claimed as one of the most beautiful walks in the world. This is an incredible trek in the remote north eastern corner of Nepal through grand mountain scenery every bit as spectacular as that seen on the more widely trekked Annapurna and Everest regions. And, with the opening of basic tea houses along the trail, it is now possible to complete the trek without camping. Your adventure begins with a flight to Taplejung; the hub of the region and the start of the trail to Kangchenjunga’s southern Base Camp. Only a day into the trek and you will be in glorious scenery with wonderful views of mighty Kangchenjunga and her satellites in their full glory. Steadily gaining altitude, your trail to base camp will take you through forests, cultivated, terraced fields and small, sparsely populated villages where the local Rai or Limbu people will be delighted to welcome you. The wild scenery around base camp is simply stunning and you will be surrounded by glaciers, mountain lakes and ice-fluted peaks. You will also enjoy fabulous views of the entire south and west sides of Kangchenjunga. From here, it will take six further days of trekking, across airy passes of the Mirgin La and Sinion La, to reach the northern base camp of Kangchenjunga. The incredible, panoramic vistas from above the mountain’s glacier are worth the exertions alone but you will undoubtedly relish the feeling of being somewhere totally wild and remote as well as the sense of achievement in having successfully reached your final objective. Returning to Taplejung by an alternative route, you still have several days of splendid trekking to enjoy before you re-enter civilisation and fly back to Kathmandu for a well-earned beer and time for rest and relaxation.. This is a challenging trip for the adventurous trekker, with trails that can be narrow and occasionally exposed. We have run this trek on many occasions and clients invariably come back saying this is one of the best treks they have ever experienced! Fy to Taplejung. Jeep to Kande Bhanjyang. Trek to Tseram via Mamanke, Yamphudin, Lasiya Bhanjyang and Torongten. Trek to Kangchenjunga South Base Camp, 4,780m/15,682ft. Return to Tseram. Rest day. Cross the Sele La and on to Phedi. Trek to Kambachen and on to Lhonak. Trek to Pangpema, Kangchenjunga North Base Camp, 4,903m/16,086ft, return to Lonak. Complete trek passing through Ghunsa, Gyabla and Sekathum. Drive to Taplejung/Suketar. Fly to Kathmandu. Day at leisure. This trek will be led by a professionally trained, English speaking Sherpa. They have an intimate and expert knowledge of the history, culture and nature of Nepal and will make your trip a memorable experience. You will be met on arrival at Kathmandu airport and taken to the Shangri La Hotel on the group transfer. The Shangri La is a luxurious and stylish 4* hotel located near the British Embassy, where you can relax in its lovely garden, or have a dip in the hotel pool. Day 3 - Fly to Taplejung, 1,787m/5,863ft. Jeep to Kande Bhanjyang – 4-5 hours. You will be met at the Shangri La Hotel and taken to the airport for your morning flight to Taplejung. Taplejung is the hub of this region and has cobblestone streets, government offices, a police post and a small hospital. You will drive to the trek start at Kande Bhanjyang, on a dirt road. This should take around 4-5 hours. Day 4 - Trek to Mamanke, 1,854m/6,083ft - 6-7 hours. The trail continues its way up, down, over, or around the great ridges on the west side of the Kabeli Khola, crossing tributaries of the main river on the way. As you pass through terraced fields and forested areas, there is always the anticipation of further views of the high mountains appearing at any time. One particularly good view is of Jannu from the ridge crest at Ponpe Dhara. 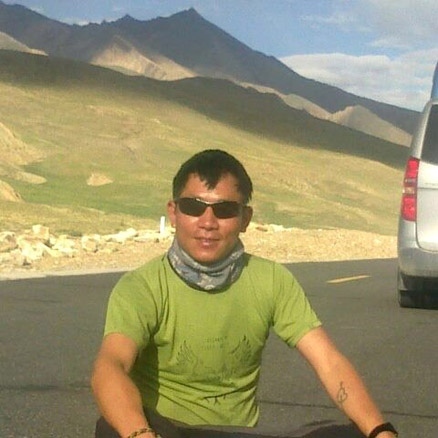 Day 5 - Trek to Yamphudin, 1,706m/5,597ft - 7-8 hours. More ups and downs on the hillsides above the Kabeli Khola, until the trail descends some stone steps to the river itself. A gradual climb up to the ridge and then through fields brings you to the last permanent settlement, Yamphudin (not to be confused with jam pudding). There is a police check post here. Day 6 - Trek to Lasiya Bhanjyang, 3415m/11,204ft – 7-8 hours. This morning begins with a very long ascent to cross the Deorali Danda ridge at a col at about 3,292m/10,800ft. The path winds its way uphill, steeply at first, through rhododendron thickets to a clearing at Chittre. The col when reached is broad and contains a small pool. Day 7 - Trek to Torongten, 2,872m/9,422ft – 3-4 hours. There are views to the northwest of the summit of Jannu, and Kangchenjunga reveals itself at several points on the descent to the Simbua Khola. The initial part of the descent from the ridge has been subject to a landslide and requires care; the drop is considerable! The trail finally re-enters the forest for a pleasant and steady descent to the banks of the Simbu Khola. A walk of about an hour along the bank leads to a small bridge, which provides access to the north bank and a clearing known as Torongten. Day 8 - Trek to Tseram, 3,736m /12,257ft – 5-6 hours. The lower Lalung valley is thickly forested with pine and rhododendron and a good path follows the river northeast towards its source on the Yalung Glacier. Occasional tantalising views of the snowy mountains can be seen ahead. The trail follows the ever-widening riverbed and becomes an easy walk. Eventually, the terminal moraine of the Yalung Glacier comes into view, overlooked by the peaks of Talung, 7,349m/24,111ft, Kabru 7,338m/24,075ft and Rathong 6,678m/21,909ft. Tseram is a pleasant grassy spot on a small terrace about 50m above the north bank of the river. Day 9 - Trek to Oktang, Kangchenjunga South Base Camp, 4,780m/15,682ft, and return to Tseram – 7-8 hours. You will start early with hot drinks being served in your room before you hit the trail. The trail is steep for a short time until, after you have walked for an hour it turns into a more gentle slope and remains that way till the last point, Oktang Glacier. Some mild altitude will be felt but your crew will carry a portable gas stove to eat water for some hot drinks which, at that altitude, will be more than welcome. A picnic lunch will be carried and served to you by your crew once you reach Ramche, either on the way up or on the way down depending on the group's progress. From Ramche you make a further excursion to South Base Camp to obtain views of the south face of Kangchenjunga. Beyond Ramche the glacier turns north and this corner can be reached in about an hour over fairly level and easy going ground. At the corner a tremendous view opens up to include the entire south and west faces of Kangchenjunga which have previously been hidden during the recent stages of the walk-in. In a further hour a small track leads onto the lateral moraine of the Yalung Glacier and to a chorten from where there are unsrupassed views which include Kangchenjunga main summit, 8,686m/28,169ft, Yalung Kang, 8,505m/27,903ft, and Kamgbachen Peak, 7,903ft/25,928ft, at the head of the valley. You retrace the same way back to your base at Tseram. This day is pretty long but you will have a rest day tomorrow. Day 10 - Rest day. Today is time to rest and relax. You may like to do some washing or simply enjoy the scenery and recuperate ready for the next section of your trip. Day 11 - Cross the Mirgin La, 4026m/13,209ft, the Sinion La, 4,663m/15,298ft, and Sele La Pass, 4,200m/13,776ft and on to Phedi - 7-8 hours. Today you should be fresh after your rest day and ready for the exciting day. There is a vertical uphill immediately in front of Tseram and you will have a tough ascent of some two hours to reach Chhuchung Pokhari, a tiny icy lake. From here it is just a few minutes to reach the top of Sinelepcha Pass, and you will now have completed the toughest part of the ascent. From here there are stunning 360 degree views of the highest snow-capped peaks to the north and east and endless horizons of foothills to the south and west - a fabulous reward for a strenuous morning. From Sinelepcha Pass, the trail becomes comparatively easy and more gentle, crossing numerous passes including the Sele La. After you have crossed several passes the trail then slowly starts to descend, with Kumbhakarna massif towering ahead of you, to Phedi. It is a long descent to Ghunsa through beautiful forest to a clearing on the lip of the Yamatori Valley. You then continue descending through pine and rhododendron forest to the village of Ghunsa. Ghunsa is a well-kept of some thirty stone houses and has a police post. There is also a small Tibetan monastery here. This is the last proper village in the valley. Day 13 - Trek to Kambachen, 3,930m/12,894ft - 6-7 hours. The trail now follows the floor of the valley beside the blue green waters of the infant Ghunsa Khola through scrub rhododendron and juniper. The terminal moraine of the Jannu glacier can be seen clearly ahead, although there is only ever the occasional glimpse of a snow covered peak. As the moraine is reached a small bridge gives access across the river to a tiny grassy clearing known as Rhambuk Kharka. The slopes above here are subject to landslide and rock fall and great care is needed to negotiate a steep traverse across one very large affected area. The views to the north and east gradually open out to include the peaks of Phole, Sobithonge and Jannu rising majestically above the moraines of the Jannu Glacier. Beyond the landslide the trail levels, traverses the hillside and finally descends to the small summer settlement of Kambachen. Jannu is hidden from view at Kambachen, but the Sharphu group is now visible at the head of the valley. Day 14 - Trek to Lhonak, 4,575m/15,010ft – 6-7 hours. The rough, but easy trail continues up the west bank of the river, first across a small boulder field and then up a short, but easy snow slope to the level kharka of Ramtang. The view ahead becomes increasingly impressive, but attention is drawn to the upper reaches of the Ramtang Glacier, which feeds off Kambachen, the mighty western outlier of the Kangchenjunga massif. Another hour of level walking leads to the snout of the Kangchenjunga glacier across whose moraines Pyramid Peak rises, Tent Peak and Nepal Peak at the head of the valley. The terminal moraine and the river from the Lhonak Glacier enter from the north but present only a minor obstruction to access the level sandy and grassy plains at Lhonak. It can be a windy spot. There are wonderful mountain views in all directions with the ice flutings of Wedge Peak and the snowy ramparts of Nepal and Tent Peaks presenting the ideal backdrop for a colourful sunset. Day 15 - Trek to Pangpema, Kangchenjunga North Base Camp, 4,903m/16,086ft. Return to Lonak. Today is a spectacular day. The route to Pangpema from Lhonak is on a deceptively rising track which follows a shelf alongside the lateral moraine of the Kangchenjunga Glacier. The views are stunning as progress is made up the valley with Wedge, Nepal, Tent and Pyramid peaks all revealing themselves, along with the Sharphu peaks dominating the horizon down the valley. You continue to Pangpema where the view to the south opens up to reveal the Twins and, finally, the great north faces of Kangchenjunga and Yarlung Kang. Pangpema is located on a small grassy shelf above the glacier, the panoramic views are breathtaking from here. Prayer flags adorn a large boulder and there is a small plaque in memory of the American climber, Chris Chandler. You retrace your steps to Lonak. Day 16 - Trek to Ghunsa 3,410m/11,187ft - 6-7 hours. You retrace your steps to Kambachen. It's about a four hour walk to Ghunsa from Kambachen. You walk along the west ridge of the Kambachen valley and hike down to the Ghunsa Khola, where there is a newly built suspension bridge over the river. There are superb views of the Kumbhakarna massif towering to the left side of the trail, and you have this glorious view for about half an hour, until the trail is enveloped in golden pine and various species of rhododendron. Day 17 - Trek to Gyabla, 2,725m/8,940ft - 6-7 hours. The night stop at Gyabla is still about 4 - 5 hours away. After lunch at Ghunsa, you cross the Ghunsa Khola for one more time and walk on the trail alongside it. It's a pleasant walk through lush forest of pine, rhododendron, birch and Himalayan bamboo. There are small mani walls to be passed by every now and then. The small nomadic-type settlement of Phale is about an hour's distance away from Ghunsa. Phale is a tiny valley in the middle of nowhere. Immediately after Phale, there is a huge expanse of landslide to go across, although there are no falling stones, making the passage safe. The remaining trail up to Gyabla is through dense and beautiful forest. It takes about 4 hours to reach Gyabla from Ghunsa and 3 hours from Phale. Gyabla is a neatly kept tiny village where there are some small houses, a few great teahouses and a huge lodge with 40 rooms in it. There are high waterfalls in the distance, greenery everywhere and some cultivated landscape. You will notice the increase in oxygen here after being at high altitude. Day 18 - Trek to Sekathum, 1,650m/5,413ft - 7-8 hours. Today you have gentle downhill walking of around two hours, followed by 1½ hours of steep uphill, then two hours of moderate and steep downhill to the Ghunsa Khola, then a flat trail of 1½ hours. You enter a dense forest and fields where cardamom is harvested. You remain on the banks of Ghunsa Khola until Sekathum. Day 19 - Trek to Tapethok, 1,322m/4,337ft - 3 hours. Drive to Suketar - 4 hours. Today you have three hours of trekking on a flat and straight path. You will be picked up by the vehicle at Tapethok and driven to Suketar on a dirt road (this is the village close to the Taplejung airstrip). Day 20 - Fly to Kathmandu. You take the early morning flight to Kathmandu where you will be met at the airport and taken back to the Shangri La Hotel. Tonight you might like to go into the vibrant tourist hub of Thamel to soak up the atmosphere, do some last minute shopping, and eat out at one of the district's many restaurants. Day 21 - At leisure in Kathmandu. Today you may also relax in Kathmandu, perhaps doing some sightseeing or some last minute shopping. This day also serves as a spare day in case of flight delays from Taplejung. Day 22 - Transfer to airport. Fly to London. After breakfast there will be a group transfer to the airport for the flight back to the UK. As my second trip to Nepal after Everest Base Camp, I must say it has been an incredibile adventure. This trek takes you to a very remote region, with very different landscapes (from tropical rainforests to dramatic Himalayan peaks), passing through low-populated valleys where people are friendly and genuine. Be prepared to long days with many ascents and descents. The rote to the Base Camps is blessed with incredibile autumn colours in Oct-Nov. Kangchenjunga is well hidden behind a court of incredibile rocky walls towering 7.000 mt (Chang Himal face is amazing and very close, when you walk on the edge of the glacier). Our guide Raj, the 2 sirdars and the cook were very attentive, and all the porters did a great and tough job. Finally, MK was very good in solving the logistic difficulties related to the remoteness of the region. Definitely recommended if you want to experience remote far Eastern Nepal. A very challenging trek. Extremely remote although well worth it to appreciate the amazing scenery and closeness of the mountains. The Gunser valley and river are simply stunning. The viewing point at Janu was well worth the climb, with the frozen lake and surrounding peaks simply stunning. Be prepared for long days walking and some very diverse conditions. It is worth it though - Nepal at its best for sure. This trek takes you away from the well worn and busy paths of the Everest and Annapurna regions into quieter more remote locations. The are several long days on this trip on rocky paths which some other members of the group found unexpectedly demanding. As with other Himalayan treks we had an excellent local crew.